Caught the metro into the city yesterday to do a morning round with Martin from Kaibosh. 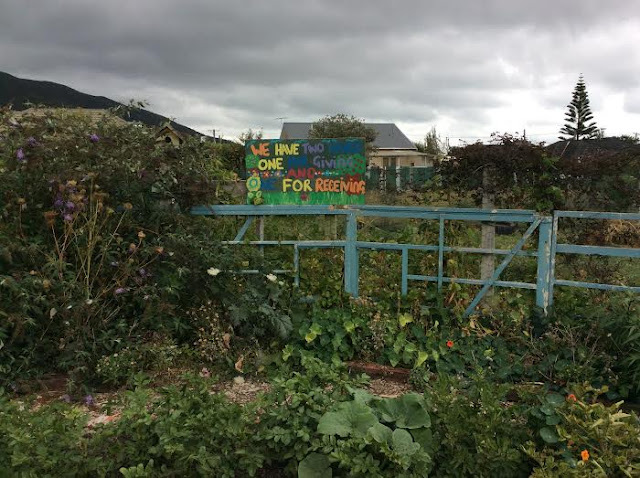 It's a great FoodRescue social enterprise that has vans that pickup 'near end of shelf life' food from cafes and supermarkets, take it all for sorting at their centre and redistribute to shelters and other hostels. Sometimes it's coffee beans, sometimes sandwiches and buns, sometimes fresh veg. Volunteers are queuing up to help. Sort of like the type of thing Hilary and other Incredibles do with the food bank but on a bigger scale. They are about to launch a great loyalty scheme for businesses who want to support but don't do food and donors .As everything is fundraised and they don't do grants they have to think imaginatively about how to bring the money in. Supporters get a card that offers discounts at supportive retailers , they call them their Kaibosh heroes. Had lunch with Babs and some young people then on to Espiral in the city for a Fishbowl event where people just share ideas about food kicked off with a short brainstorm from me. 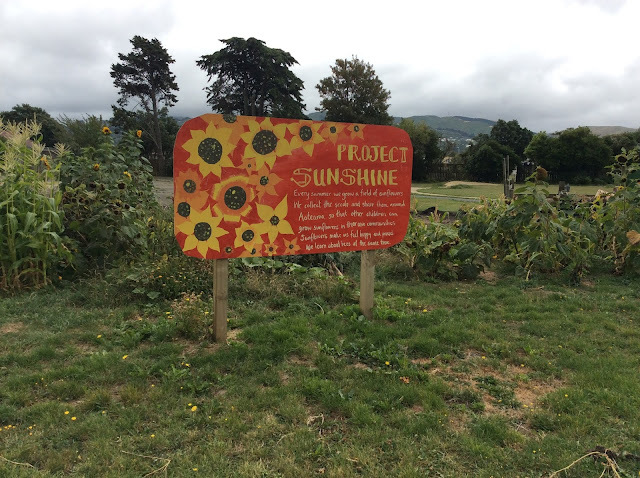 The evening was at theSustainability Centre in Wellington, where loads of people did their two minute pitch for help for their own particular passion including Kaibosh,and the second half was me and our story. Room was packed, standing room only, and as ever it's inspiring to share with like minded people our vision for a kinder world. Was introduced by a lovely man from Huddersfield, who used to be a Calderdale Council housing officer when I was in Calderdale. You couldn't make it up. Supper with the wonderful Julia and Diane, a local teacher who comes from York, then thank the Lord, it's bedtime. 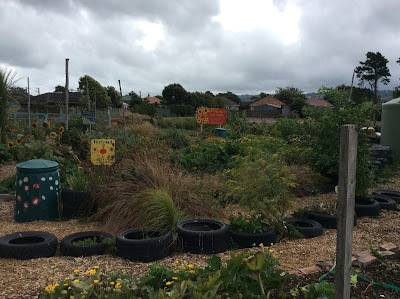 Saturday kicks off with a visit to Common Unity, the food growing community trust that Julia runs at a local school in Epuni, a neighbourhood of wonderful people who are doing amazing work with their children from so many cultures. A room full of folks who one way or another are all making change through food,from planting out verges, to an arts group telling stories, to community bee keepers, to a great networker who works in the health system, and many more people who make up the really rich local food culture in the local neighbourhoods. What always happens is people get to understand they are not alone, and that their collective story is just so powerful. Then whisked off to another suburb of Wellington, Tawa, by Richard a representative of the local community board, to speak at their celebration of their first community garden, and have a quick walk in the local New Zealand bush, which turns out to be the equivalent of our local woodland. Awesome native trees, ferns and native birds which with the cicada in the tree tops, giving it all they've got was quite defending. 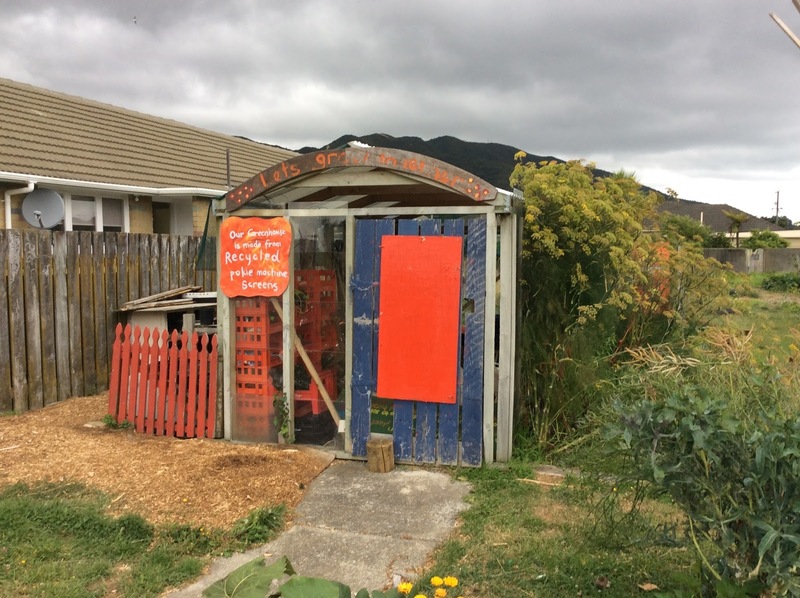 Then back to the community garden to cut the ribbon with the Mayor of Wellington, a Green Party member who supports urban agriculture and everything about growing more food right on our doorsteps. It's now Saturday evening, and I sign off from my IE stuff, till Monday morning. Phew.